Looking for a relaxing stroll, refreshing hike, or strenuous run through the woods? Want to learn more about the natural world? Do this and more at Pfeiffer Nature Center! Pfeiffer Nature Center is home to more than 676 acres of nature’s bounty. 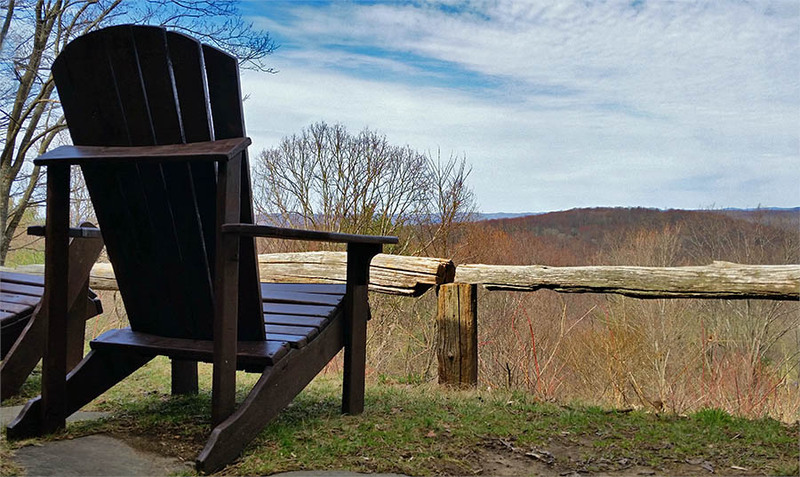 Located in rural, southwestern New York State, you’ll find miles of open-access hiking trails, a historic American Chestnut log cabin, great birding areas, a picturesque pavilion available for rent, and so much more! The Nature Center has two beautiful properties to explore. 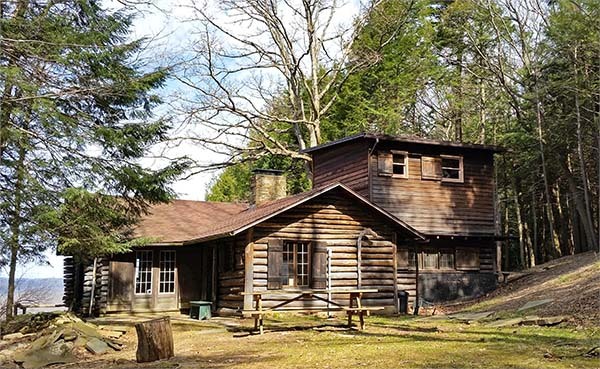 The Lillibridge Property consists of 188 acres of forest and has a rustic American Chestnut log cabin listed in the National & State Registers of Historic Places. The front of the cabin offers a spectacular panoramic view of both nearby farms and distant mountaintops. A timber frame pavilion offers a covered shelter for picnics and other events in the meadow. Perhaps the most notable and majestic feature of the property is the 20 acres of rare, old-growth forest. It includes large specimens of Eastern Hemlock, White Pine, Red and White Oak, American Beech, and more. Hikes on our six miles of marked foot-trails pass through a variety of forest ecotypes, such as coniferous and mixed deciduous forests. Our terraces and slopes that rise 700 feet above the valley hint at 350 million years of geologic history. The Nature Center also owns 488 acres on Yubadam Road, the Eshelman Property, which has an active sugar bush, on-going scientific research projects, and a small farm. There are nearly 4 miles of trails through forests, meadows, transitional zones, near ponds and wetlands. More trails are being developed to support snowshoeing and cross country skiing. For those who want to learn more about the natural world, the Nature Center offers interpretative opportunities in science, nature, and art through programs and events throughout the year. Get to know Pfeiffer Nature Center – find a spot in our woods to enjoy peace and quiet, come to our programs, become a member, volunteer, enter our film festival, or choose countless other ways to get involved. We hope to see you soon! Relax and enjoy the view, any time of the year! Don’t miss out on anything – join our electronic mailing list! Join us on Facebook for updates, photos, and more! Help Pfeiffer Nature Center Grow! You can now donate securely online-just click on the Donate button in our menu bar above or click here. Gifts of all sizes are gratefully received and help us to meet our mission. With just a few clicks, you can become a member or renew your membership or register for programscompletely online & pay securely via PayPal!